So I had the plan of rebranding the dolly label near the end of last year. 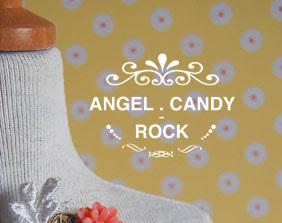 After reading various books on branding, I realized that Angel.Candy-Rock wasn't consistent in its brand design. I did not know anything about brand concept, my target audience etc. as well as logo design. It was created at the beginning as a casual 'for fun' thing. Now that I know what is lacking, I have sat down to properly write out what I want this doll fashion label to be. The new name 'lovesprung' was born, and I opened a sub label under it called 'piccola fenice' (which means Little Phoenix in Italian. My mother gave herself this alias in Mandarin: 小鳳 :) to house my mother's designs. 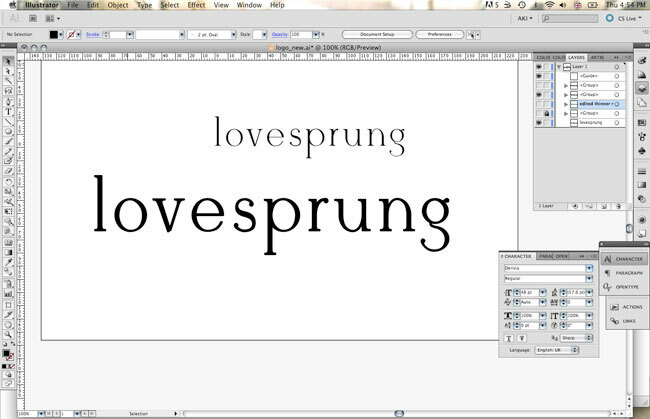 Currently, I am using a very modern and straight typeface for lovesprung (with the love sprouting out literally). It was a cool concept, but I'm afraid it still felt cold to me. So I started looking again for a proper typeface today, and I found a free font called Derivia by Ekloff fonts on dafont.com. I'm not a professional typography artist so I do not know how to make pleasant and healthy typefaces. I can only use ready-made free fonts and alter them a bit. 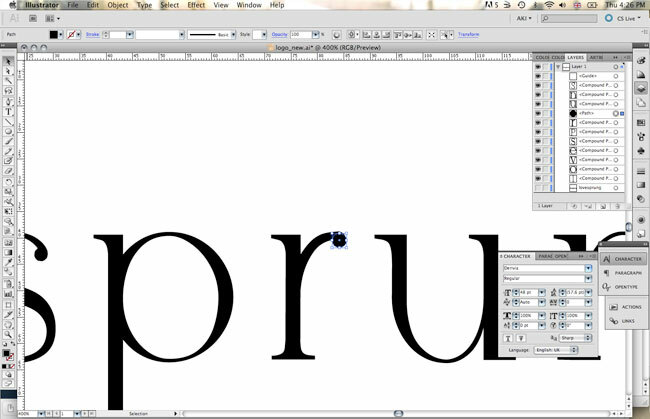 So sadly, there is no 'blueprint' pictures of how the font was formed (like on behance). Lol. 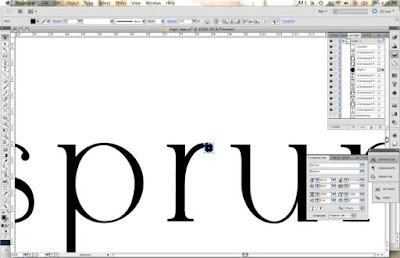 2 comments on "Picking the right typeface"
I like what you've done with your take of the typeface and your Illustrator. I happen to be the maker of the Derivia font (of ekloff.com) and am glad to see that it is in good hands! 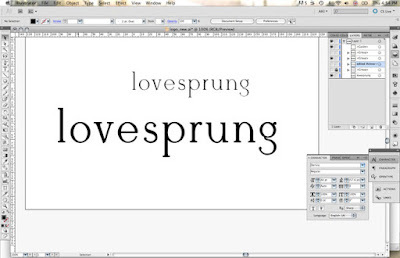 Thank you for sharing this beautiful font!